88152 - 15mm Gingham Fabric Hearts x 10 Metre Length! Fantastic cut fabric hearts joined in full length. Rolls are spooled with 10 metre lengths. 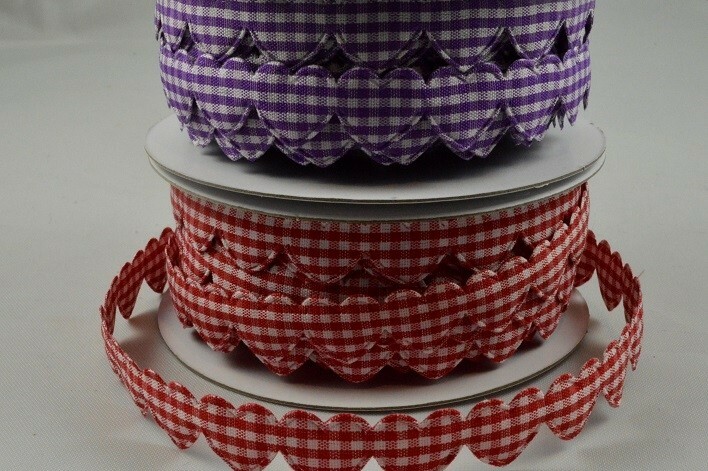 88152 - 15mm Gingham Fabric Hearts x 10 Metre Length! Fantastic cut fabric hearts joined in full length. Rolls are spooled with 10 metre lengths.